Brian Andreas is an artist, writer and storyteller known worldwide for his lyrical stories and colorful drawings. 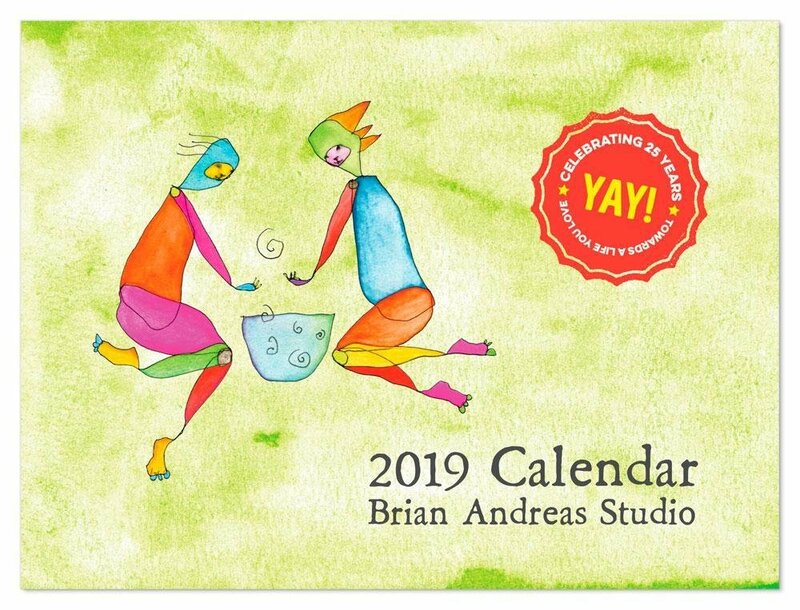 The arrival of the new Brian Andreas calendar is always a welcomed event. This year's calendar is no exception. 12" x 18" when opened up, this features a different image for each month. A gift of his work is a joy throughout the year, and that's especially so with his calendar. We have sold out of these in years past, so don't wait if you are a fan of his work.